Paper Sunshine: A New Stamp! Cute, cute! 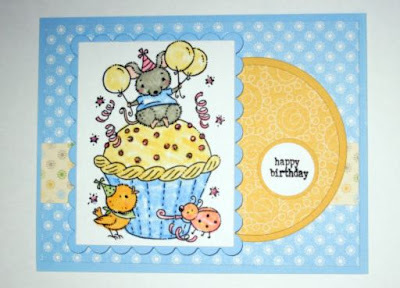 I have a special fondness for mice stamps and this image is adorable. Great sketch and DPs, too!! You find the sweetest stamps! I think it's cute, too! Me too Jessica, where we first "met" was the House Mouse swap! Thanks so much! Thank Cheryl, Stampavie has a bunch of cute stamps and I am hoping to start getting some Whipper Snapper stamps, they also have some super cute ones!